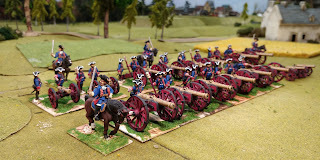 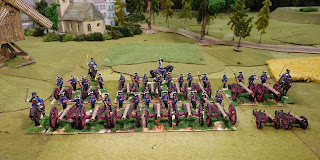 Artillery from the Franconian circle. 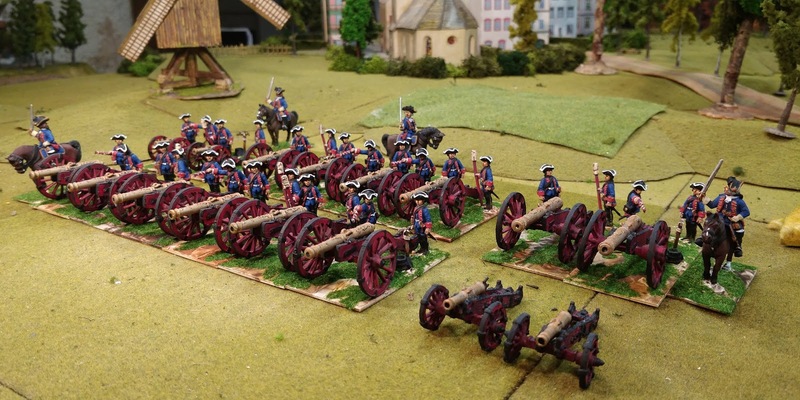 The gun colour was 'sang du boeuf' or a very dark red. Most of the gun models come from Minden/Crann Tara, and the crews from Eureka. Extra guns allow a greater variety as the guns are not glued to bases.